As 2017 College Captain, Niamh inspired us with her unassuming leadership, thoughtful observations and "cut-through" communication. So we were not surprised, but very proud to see her contribution to Q&A last night. Watch this clip to see the response of internationally renowned economist, Jeffrey Sachs. We couldn't agree more. The world desperately needs the strength, values and creativity of young women. 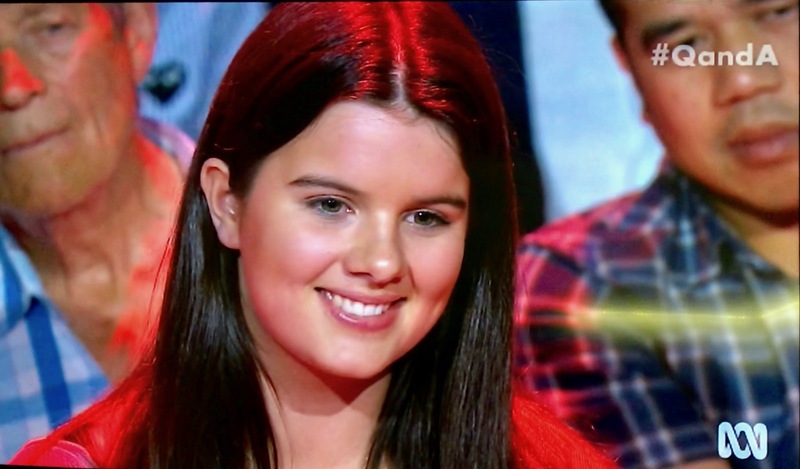 We invite you to contribute to the social media responses to Niamh’s impressive appearance on Q&A.